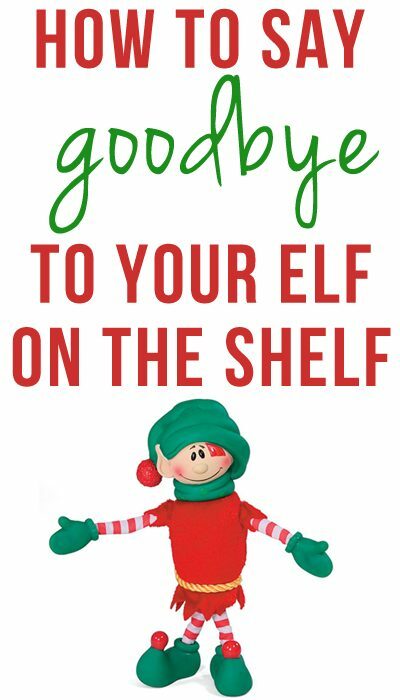 Some fun ideas for saying goodbye to elf on the shelf for the year. It can be hard to say goodbye to elf on the shelf after so many weeks of fun! But these ideas for saying goodbye to elf on the shelf will make it fun and easy. Click here for more fun Elf on the Shelf ideas! Every Christmas marks an exciting and sad day. Santa comes to bring gifts, but he also takes Louie back to the North Pole with him. I always feel a little more pressure to do fun things with Louie right before he heads back home, and Jack always wants to do something fun for him before he goes. Balloons, cake, the works! If your elf is anything like ours, he brings magic and Christmas spirit with him every year. It’s a sad time when he leaves! Turn your tears into smiles with a party! Have your little one thank the elf for coming to visit and recap his favorite days between Thanksgiving and Christmas. Have your elf do something super silly on his last night. Or maybe something a little naughty. Wrap the Christmas tree? Or maybe the front door? Toilet paper the bathroom, or your child’s room? Save the best for last! Thank your kids for not touching him and remind them to behave for the rest of the year–not only at Christmastime. Get out your flour or glitter and make little elf prints out the front door (or near the chimney if you have one). It’s fun for your kids to see something magical before your elf leaves on Christmas day, instead of just waking up and seeing that he’s gone! 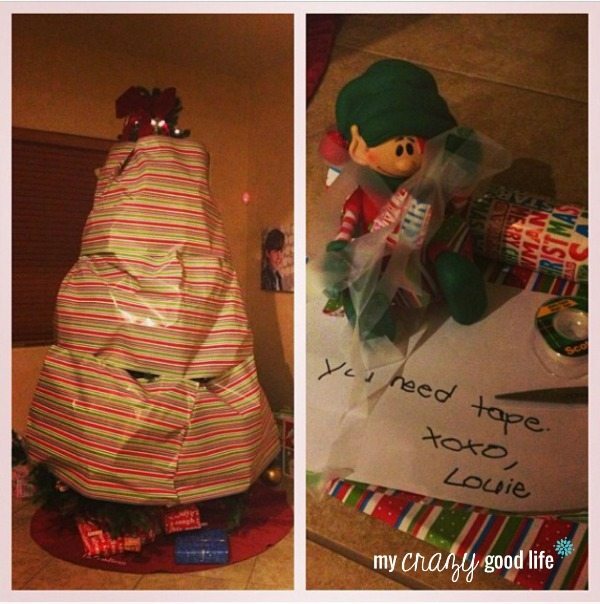 How have you said goodbye to your elf on the shelf? A few of my wonderful friends and I have decided that we want to see your elf ideas! This is the last week for you to share all of your elf ideas! 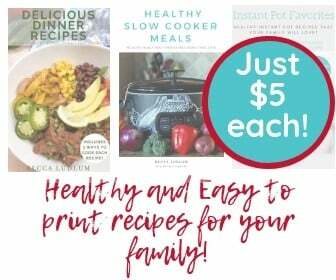 Amy from OC Mentor, myself, Emily from Our Knight Life, and Sara from Mom Endeavors are your hosts for this fun and creative linkup! Add your link (to your Elf on the Shelf post, not your homepage) below and visit some of the other participants to see what their elves are up to. If you can’t visit all of the participants, it’s best to look at your linkup number and only visit posts with the same last number. For example, if you’re #17 to linkup, you’ll visit #7, #27, and so on. Where dis you get your elf on the shelf at. @Jimmie- that elf is Christopher Popinkins. I have the same one. He’s super cute and fully poseable. I bought mine on Amazon for about $16. I’m putting together a Christmas eve box with new jammies, fun socks, hot chocolate, a candy cane, and a ticket to go see the lights at the nearby national park. Plus a letter from our elf saying goodbye. Last year we said goodbye to our elf Joey by wrapping the entry way from our kids bedroom to the front room where their toys were, the kids had to rip down the paper to get to the gifts, they loved it and was so excited to rip it open! We had an accidental bump earlier in December so we had a visit from the elf magic recovery team who left us “magic recovery dust” with a note. On Christmas Eve we covered our son’s hands in the remaining dust (glitter) and let him hold Olaf our elf and say goodbye – It was the sweetest thing. “I love you Olaf” and a big smooch. My daughter wanted nothing more than to hug her elf one time before she left. I informed her when our elf first arrived that if she were to touch her that the magic would be gone and she wouldn’t be able to come back. So on Christmas Eve I told her that since santa was coming she could hug Foofie goodbye, santa will make sure that she gets home safe and sound! We left our elf in her stocking so santa would know where to find her.